Smart Home Protection’s burglar alarm mobile application (powered by RISCO Group) has recently obtained Secured by Design (SBD) accreditation. 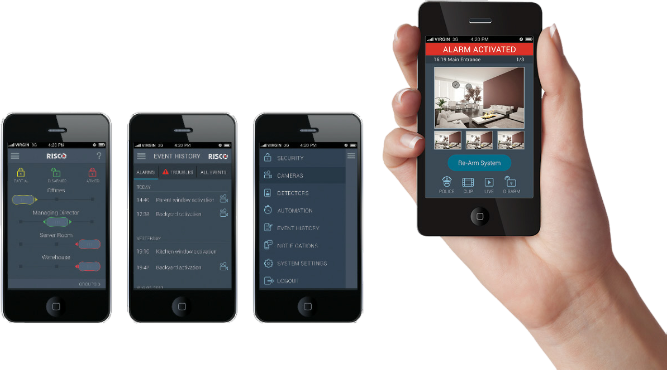 The mobile app and Cloud-based services, both offered by Smart Home Protection, are enhanced software-based solutions designed to be used in conjunction with the company’s home protection system for managing and controlling it from the comfort of the user’s phone or tablet device. The app provides complete peace of mind as it means that homeowners do not have to be present in the home to set and unset the alarm. They can even use the app to see into their home at any time, via specially-design cameras, for added reassurance. Established in 1989, Secured by Design is the official UK Police flagship initiative combining the principles of ‘designing out crime’ with physical security and accredits relevant quality products that meet its stringent standards to deter and reduce crime. Hazel Goss, Development Officer, Secured by Design, added: “We are delighted to be working with the long-established RISCO Group on their latest range of ever smarter technology products for the residential and commercial marketplaces. “Advancements in security technology, enables householders to use a smartphone app to see live video of their home on demand whilst they are out and about as well as to receive security alerts.